SALT SPRAY ZONE PLANTS You are welcome to download your own copy of this new publication, by clicking on the link below. When the right forward quadrant of Hurricane Irene hit Cape Cod, we experienced an empirical vent of full wind but with no rain. This was an opportunity to assess salt impacts and survivability of native vegetation. We did a survey of direct and indirect impact sites and resurveyed the following spring. 6 pages of color photographs. Download "Salt Spray Zone Plants"
Coastal salt spray events are unwelcome but may play critical roles in selecting sustainable coastal vegetation. Changing storm tracks will create new liabilities for overly diversified coastal habitats. This publication documents Hurricane salt spray impacts on native coastal vegetation. Medium Exposure site was located 800 + ft inland from the surf line. Onshore salt spray had to cross small buildings, a 2 lane road, low vegetationand a 4 lane road, with little change in elevation. The area consisted of 6-12 ft, established native and other vegetation. High Exposure was located 10-60 ft from the surf line. The area consisted of recently planted and established, 1 ft -5 ft high native vegetation. Onshore salt spray, had to cross a 7 foot high coastal bank to impact the vegetation on a level grade. The Hurricane: In late August, 2011, Hurricane Irene, with a 500 mile diameter Tropical Storm Force wind field, passed west of Cape Cod. The low precipitation, right hand semi-circle impacted Cape Cod from the Southwest. 50+ mph winds bridged tidal cycles for 15 hours. Prolonged wind, coated leaves and stems of exposed coastal vegetation with salt. Unmitigated by precipitation, this became an empirical, “worst case scenario” for exposed vegetation, and an opportunity to study salt stress. Observations: Non-coastal natives were quickly dispatched by even the medium, albeit lengthy, exposure to salt spray. Established, native coastal plants, with the exception of Beach Plum, regained seasonal performance. Directly following the storm event, recent plantings of Rugosa Roses and Seaside Goldenrod presented the appearance of100% salt kill. 2 weeks later, they were sprouting new leaves. 3 weeks after exposure, previously established Seaside Goldenrod showed flower heads (See cover photo on page 1), followed by blooms on a few, previously established Rugosas. Existing and planted American Beach Grass had minimal impacts. Toxic plant oils contain chemical markers (urushiol) which bond to cell membrane proteins, re-identifying our cells as targets for our own immune system. This can quickly become a significant health risk. This booklet identifies five toxic plants and explains our body’s mysterious response to their irritating properties. We recommend reading this booklet to prevent unpleasant experiences with Cape Cod vegetation. Safe Harbor has made this well researched booklet public domain, please click on the link below for your free copy. Invasive Cape Cod Plants "The Dirty Dozen"
Download "Dirty Dozen 2nd Edition"
Native plants co-evolved with native insects and animals to transfer plant biomass inti protein biomass, which fuels ecosystems. Invasive (non-native) plants did not co-evolve with insects and animals and do not because their plant biomass rarely gets transferred to protein biomass, the presence of invasive vegetation neuters invaded ecosystems. Safe Harbor Intern Vida, removing Queen Ann's Lacebefore it goes to seed. This invasive plant was originally brought to this country as a wild carrot. Invasive plants are fast growing. They easily out compete native vegetation for nutrients, sunlight and moisture. This crowds out native species and reduces native plant biodiversity. Reductions in native plant population stress native animals by reducingfood and shelter options. This overallpattern creates economic impacts. Large and small scale removal of invasive plants must be matched with re-planting of native species or using encouragement strategies for native plants. Otherwise the invasives will simply reappear. Large scale invasive plant removal should be done with a three year management plan, to give slower growing native vegetation the chance to become dominant. 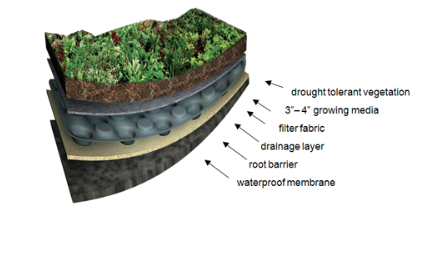 We have also developed several innovative strategies for encouraging resurgence of native vegetation. A warning to homeowners removing invasive vegetation themselves: please DO NOTput the removed vegetation in compost piles! This will spread the seeds to dozens of other homes. Bag the removed plants and dispose of them with household trash. On Cape Cod, our trash is incinerated to produce electricity.